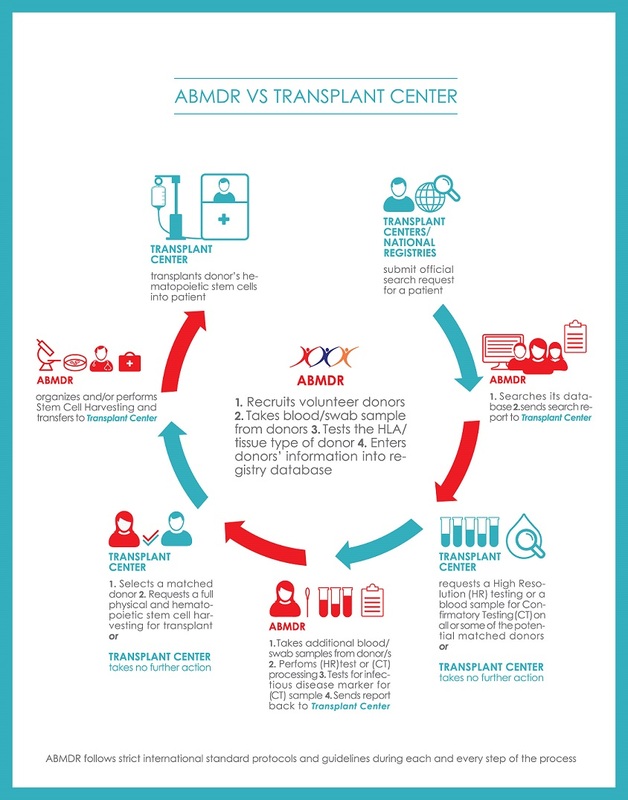 ABMDR Operations: How ABMDR works in conjunction with patients’ doctors, international registries and transplant centers to find matches for a patient Q: Bone marrow registries worldwide use terms like “Be the Match”, “Find the Match”, “Match for Life” when they describe their focus. Shouldn’t the focus really be on the ultimate outcome: “Getting the Transplant”, or “Being the Cure”? A: Within a patient’s team of healthcare providers there are very specific roles we each play. 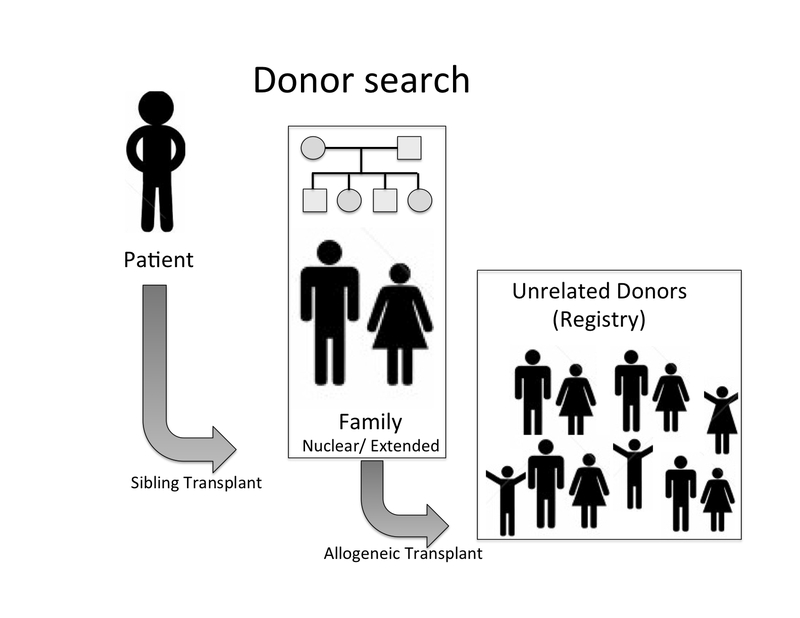 When it is determined that a stem cell transplant is the best hope for the patient there is a process and a sequence of events that need to happen – determining if a family member is a match first (sibling transplantation), then searching registries to find potential matches from unrelated donors (allogeneic transplantation). Q: Can you explain how these searches are initiated? A: Both types of searches are initiated at the request of the patient’s physician and the Transplant Center. In the case of the family, siblings and close blood relatives are tested. To start a search for unrelated donors, a Registry has to get an official “Search Request” from the patient’s doctor and/or Transplant Center. Q: Can the family ask for a search request from a Registry? A: No. The family may ask their doctor or Transplant Center Coordinator to do so, but international rules that regulate Registries require that Registries work through the Transplant Centers and doctors, and not patients and families directly. Having said that, families can play an important role in expediting things by asking their doctor or Transplant Center to do so without delay, and thus act as advocates for their patient. Q: What happens when an official Search Request goes out to a Registry? A: Once the preliminary search request goes out, the Registry checks its database to find potential matches for the patient, and sends its search report to the Transplant Center. At this point the Transplant Center can proceed in one of two ways: it can either take no further action, or it can request additional tests on one or more of the potential matches found by the Registry. Q: What type of additional tests? A: This could be a request for High Resolution typing (HR), which involves taking an additional sample from the donor and performing the HLA tissue typing at a higher level than the original typing, or it could be for a Confirmatory Test (CT), which involves taking a blood sample from the potential match, and running a battery of infectious disease tests on it. Q: What’s the next step? A: As soon as the Registry receives a request for HR or CT samples, it performs the required tests and sends the report to the Transplant Center. At this point, once again, the Transplant Center can proceed in one of two ways: it can either take no further action, or it can select a donor, request a full physical and ask that Stem Cells be harvested from the donor and delivered to the Transplant Center. Q: What’s involved in Harvesting Stem Cells from the donor? A: Depending on the location of the donor, The Registry or the transplant center prepares the selected donor by giving him/her a booster shot to increase the number of stem cells circulating in his/her blood. The donor is then hooked up to an apheresis machine through an IV, and peripheral blood stem cells—stem cells circulating in the blood—are collected by this machine while the rest of the blood is returned to the donor. The process of “harvesting” takes a few hours and is done with no anesthesia. Q: Does the patient have to present at the same location to receive the stem cells just harvested? A: No. Donor and patient need not be in the same location. Once collected, the stem cells are packed following well-established international protocols and transported to the Transplant Center via international courier companies specialized in these types of transports. The patient can be half a world away and still receive this precious gift of life. ABMDR has prepared and transported cells harvested in Armenia to patients in Greece, Italy, Germany, and Belgium on many occasions. Q: Does the patient know who the donor is? A: In the case of sibling transplantations, the answer is obviously yes. But transplants using unrelated donors are kept anonymous. In some cases, if both donor and patient consent, they can be brought together with the help of the Registry, but only several years after the transplant, and only if both parties consent. Q: What happens to the search and transplantation process when the transplant center choses to take no further action after they get the registry’s report of potential matched donors? A: When the Transplant Center chooses to take no further action, the search process comes to an end. Q: Why would the Transplant Center make that choice? A: There may be several reasons. In some cases, the patient recovers and does not need the transplant any more. Sometimes a match is found, but the patient has a relapse and is not able to have the transplant. Other times the patient dies. Tragically, in some instances donors become unavailable due to a number of reasons, including pregnancy of donor, change in health of donor or even unfounded fear on the part of the donor. Q: How often does this happen? Aren’t donors aware of the commitment it is to join a Registry? Aren’t they briefed before they join? A: The drop rate in ABMDR is low compared to other registries, all of which face this issue of donors withdrawing their candidacy. This is a particularly sad situation for the patient, but a common human problem: some donors are scared to go through the bone marrow donation process, as they falsely think that it might harm them. This is why we concentrate a good deal of our efforts on outreach and educational programs, fully informing donors of the entire process, the various steps and their responsibilities and rights BEFORE they join the registry, emphasizing the non-invasive nature of the bone marrow donation process. Q: Approximately how many transplant requests does ABMDR receive in a year, and from where? A: To date, ABMDR has received over 9,000 requests for preliminary searches, that is, for patients identified as needing a transplant, plus over to 2,500 requests for HR typing and for CT samples every year. 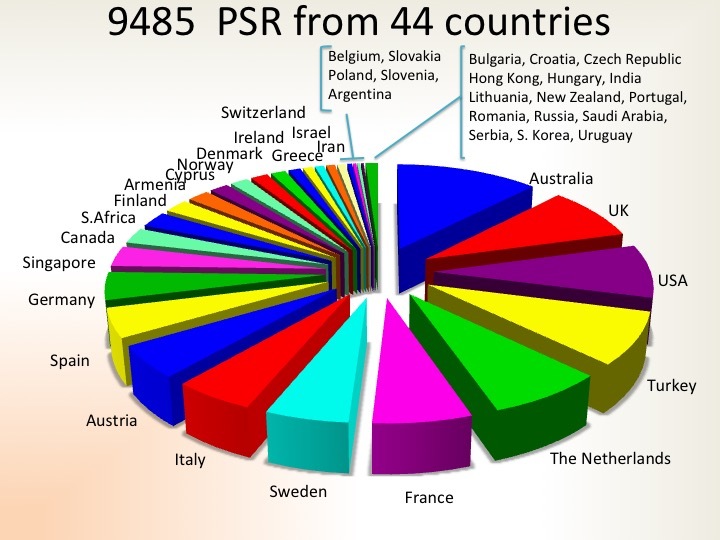 Requests have come from 44 International Registries and Transplant Centers all over the world. Q: How many donors are there in ABMDR, and from where are they? 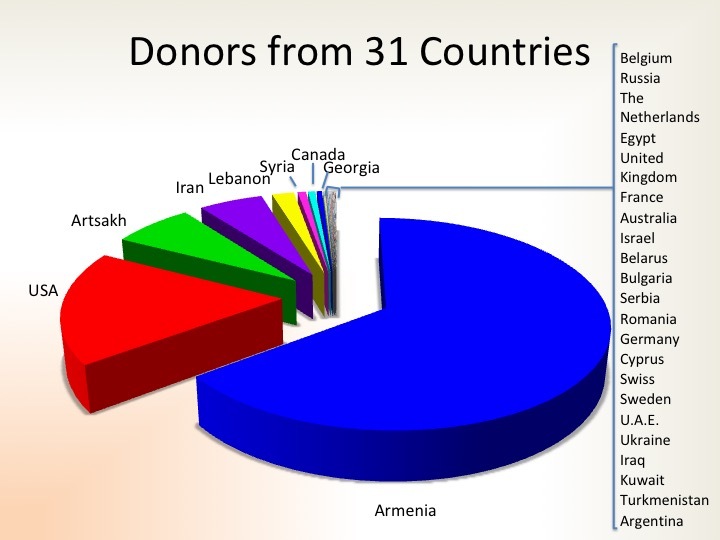 A: To date, we have over 30,000 donors from 31 countries over 5 continents Q: How many transplants has ABMDR facilitated? A: To date, we have facilitated 32 transplants.